Egypt’s state-run newspaper has come under fire for altering a photograph to suggest President Hosni Mubarak was leading the Middle East peace talks. 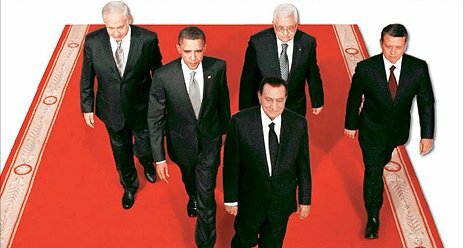 Al-Ahram showed Mr Mubarak walking on a red carpet ahead of US President Barack Obama as well as the Israeli, Palestinian and Jordanian leaders. 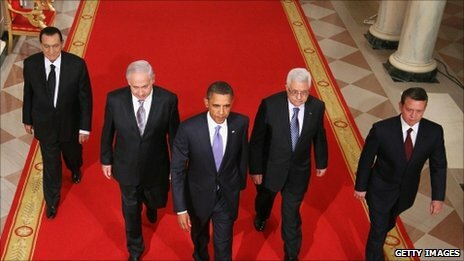 The original image, taken at the White House when talks were formally re-launched, shows Mr Obama leading the way and Mr Mubarak trailing behind. The opposition 6 April Youth Movement has accused al-Ahram, Egypt’s biggest newspaper in terms of circulation, of being “unprofessional” for publishing the doctored image without mentioning the alteration. “This is what the corrupt regime’s media has been reduced to,” it said in a statement on its website, adding that the paper had “crossed the line from being balanced and honest”. 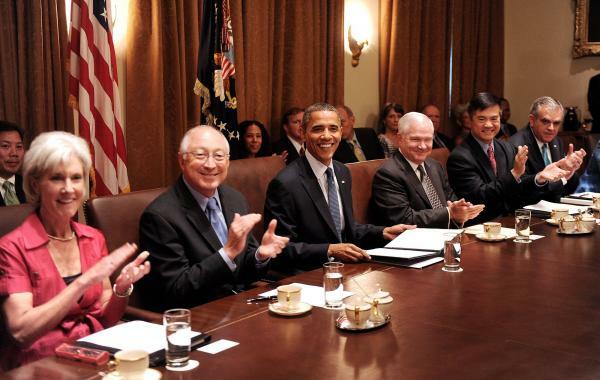 The independent daily, al-Masry al-Youm, reported that the state-run daily had “carried out surgery” on the photo “to show Mubarak leading and the rest behind”. Al-Ahram has since replaced the image on its website with a picture of the assembled leaders seated on chairs in the Red Sea resort. Officials at the paper could not be reached for comment. Part 1: Why a Children’s Book? 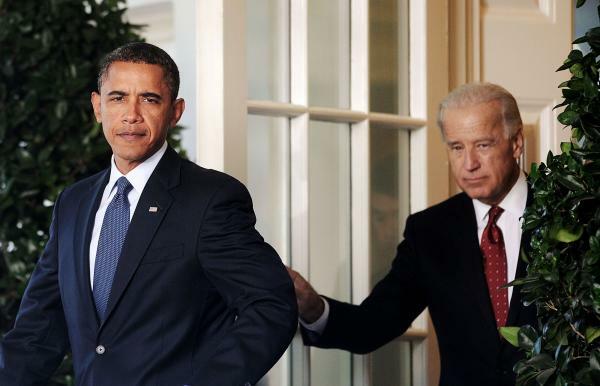 fox news: obama’s approval slumps from 43% to 46%! Oh, wait. Nearly four-in-five people in the EU countries polled (78%) approved of the way Barack Obama is handling international policies, the highest figures in Portugal (88%), Germany (87%), Italy (84%), and France (82%).